If you've done any amount of searching the web for gambling information and advice over the years, there's a pretty good chance you've come across a website from a guy who claims he has the secret to your success. He'll post records like 30-2 for a particular sporting season, or make even larger outlandish claims of having a perfect record. Today we will offer some tips to keep in mind when thinking about purchasing a system and tip #1 is: If it sounds too good to be true, it usually is. I'm not going to get into details about all the various people and their different systems, or break down who I think is best, worst, etc. I'm going to focus on the most common system strategy I've seen over the years and give you an idea of how it works. The first thing they do is identify the scenario in which they want you to bet, things like a road team playing 3 games in 4 nights, teams playing consecutive games against non-divisionopponents, etc. They will most likely advise you to buy points at your sport book, as well, driving up the amount of money you have to spend to make your bet. Then, typically, they will explain that it's a three-bet strategy. If the first bet wins, you count it as a win in the system and wait for your outlined scenario to come up again. 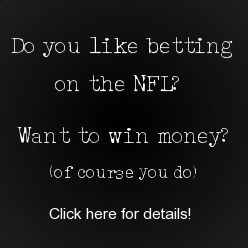 If it loses, your second bet is supposed to be big enough to cover the losses on your first bet, plus enough to put you one unit "up" if the bet wins. You would then repeat this step if your second bet loses, and place an extremely large third wager. Take a moment to read that paragraph over again to make sure you have an understanding of what I'm talking about. If that doesn't scare you away, then my hat is off to you--you have extremely deep pockets and are fearless. In the scenario above, if you lost all three bets then the "expert" counts it as one loss in his system. The problem is simple: one win in the system equals $100 profit, while one loss (in my example, anyway) represents a loss of over $1900! This leaves virtually no room for error, as you need 19 system wins to cancel out the amount of money lost on just 1 system loss. Keep in mind that this article does not cover the many different systems being sold today. My goal here is to ensure that you know what you're getting into if you decide to pay good money for someone else's system. I'm sure there are some systems out there that can show a profit over the course of a season, but personally they are not my cup of tea. If you want to try one out, PLEASE do some research before shelling out your money!